As the finale of BIG LITTLE LIES arrives this SUNDAY, APRIL 2 (9:00-10:00 p.m. ET/PT), HBO’s seven-episode limited drama series continues to inspire critical praise and strong viewership. This past Sunday, BIG LITTLE LIES hit a record high, with a Sunday night audience of two million viewers and, based on available data, is already averaging over seven million viewers in gross audience (tracking ahead of “The Night Of” at the same time of its run; “The Night Of” went on to average 8.2 million viewers). Major talent tweeting praise to their millions of followers include Oprah Winfrey (“SO well done”), Kerry Washington (“HBO has done it again” and “I’m obsessed”) and Lorde (“please inject more Big Little Lies DIRECTLY into my veins”), among many others. Based on Liane Moriarty’s bestselling book of the same name, this subversive, darkly comedic drama tells the tale of three mothers of first-graders whose seemingly perfect lives unravel to the point of murder. 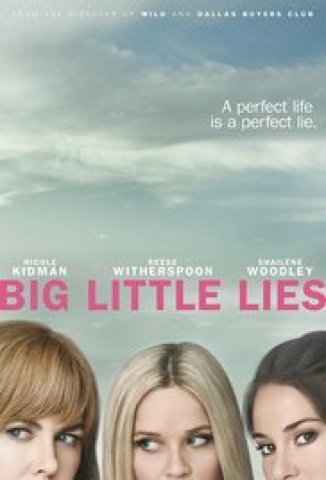 Starring Reese Witherspoon, Nicole Kidman, Shailene Woodley, Alexander Skarsgård, Laura Dern, Adam Scott, Zoë Kravitz, James Tupper and Jeffrey Nordling, BIG LITTLE LIES is directed by Jean-Marc Vallée from scripts by David E. Kelley. Watch HBO2 to catch up on the first six episodes of BIG LITTLE LIES on Tuesday, March 28 (8:00 p.m.-1:30 a.m.) and Sunday, April 2 (3:00-9:00 p.m.), leading up to the April 2 debut of the series finale on the main HBO channel at 9:00 p.m. HBO2 will present the entire limited series on Sunday, April 9, starting at 2:00 p.m.
BIG LITTLE LIES is also available on HBO NOW, HBO GO, HBO On Demand and affiliate portals. BIG LITTLE LIES is a Pacific Standard/Blossom Films/David E. Kelley Productions production for HBO; executive produced by Reese Witherspoon, Nicole Kidman, David E. Kelly, Bruna Papandrea, Per Saari, Jean-Marc Vallée, Nathan Ross and Gregg Fienberg; Barbara A. 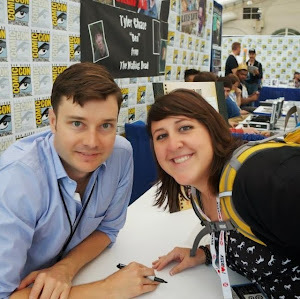 Hall and Liane Moriarty produce.